You are here: Home » Defensive Driving FAQ » Got in a car accident with uninsured? Often times after the initial shock of a wreck, a driver feels many emotions. You may feel scared, embarrassed or even angry. You might even feel relieved because you know the accident you were just in is not your fault. And even better, you know the rates of your insurance won’t sky rocket! But…..what if that other person doesn’t have insurance? You’re probably thinking to yourself, “Of course they have insurance! Right? I mean it is the law..”. Well, yes, but that doesn’t mean that everyone abides by it. According to the Insurance Research Council, about 14% of drivers do not have insurance but continue to be on the road. So if you get hit, there’s a 1 in 7 chance that the person that hit you does NOT have insurance. Sooo what exactly does that mean for me? Sadly, you probably won’t be able to get your car damage or medical bills paid for. That is unless the person that hit you has lots of personal assets saved up. But, the likelihood of that is very slim, considering they’re already breaking the law by not having insurance. Hiring a lawyer to try to get your expenses paid for is always an option. But, it doesn’t guarantee that you will get full payment, if any at all. Not to mention, if you lose the case, you’ll have legal fees to pay on top of everything else going on. So basically I’m just out of luck. Unfortunately, yes. That is unless you have uninsured or underinsured motorist coverage on your own insurance plan. This can save you from any and all costs related to a no-fault accident when the other driver does not have insurance. On average this only costs about 10 extra bucks a month, and not to mention the priceless feeling of peace of mind?! 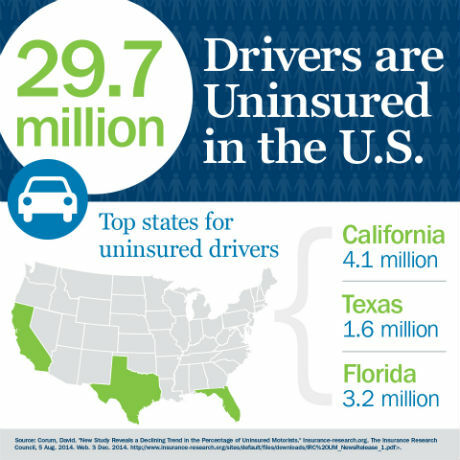 Get your policy out or speak with your agent to make sure you have the uninsured or underinsured motorist coverage.